Following the success of the LimeSDR, the Lime team have started work on their next SDR project called ‘LimeNET’ which will eventually be released for crowdfunding on CrowdSupply. To be notified when the campaign is released you can sign up here. The LimeNET SDR is essentially a high-end computer combined together with a LimeSDR board, and all placed in a small box. The goal is to create self contained base stations for cellular and IoT applications. LimeNET devices come in two flavors, the LimeNET Mini and the standard LimeNET. A software defined radio (SDR) small cell network in a box for mobile and IoT applications, based on an Intel i7 processor and the open source LimeSDR board. This combination makes it an ideal implementation for high data rate communication applications such as to 2-5G radio access to IoT nodes and much more. 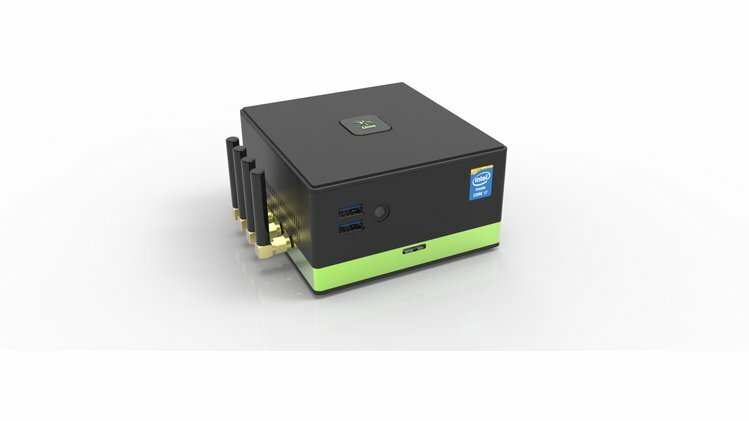 A software defined radio (SDR) high capacity network in a box for mobile and IoT applications, based on an Intel i7 processor and the open source LimeSDR PCIe card. It covers the same applications as the mini version for wide area networks.